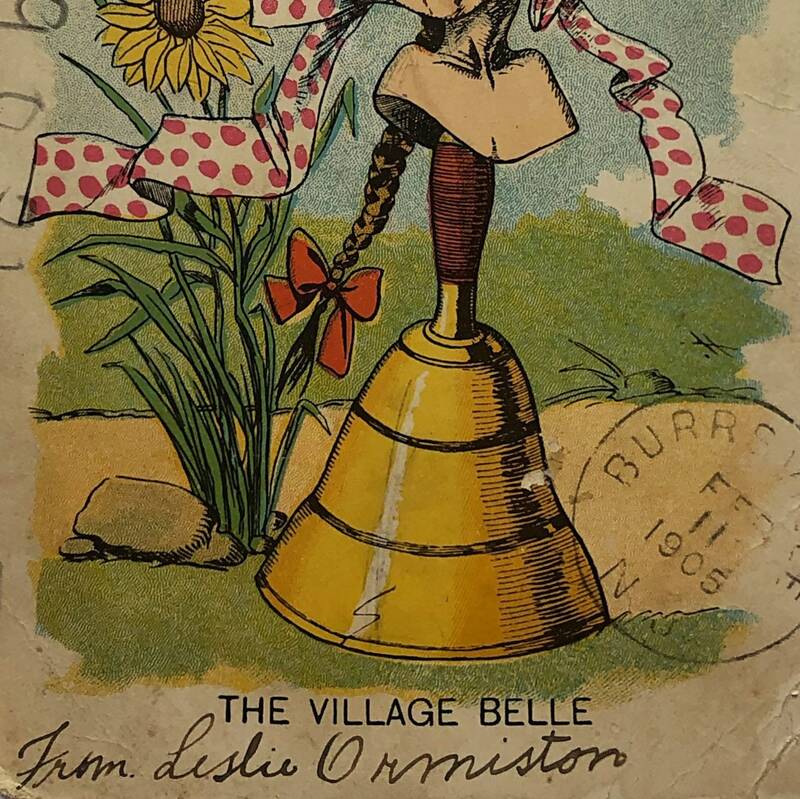 Vinegar Valentines: “The Village Belle,” copyrighted 1905. 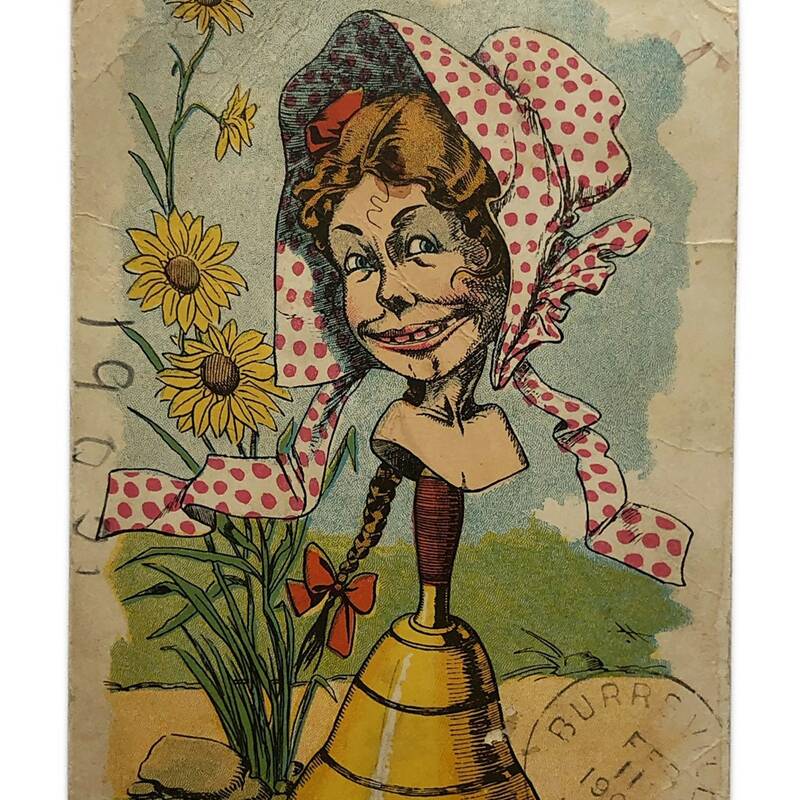 Vinegar Valentines: “The Village Belle,” copyrighted 1905. 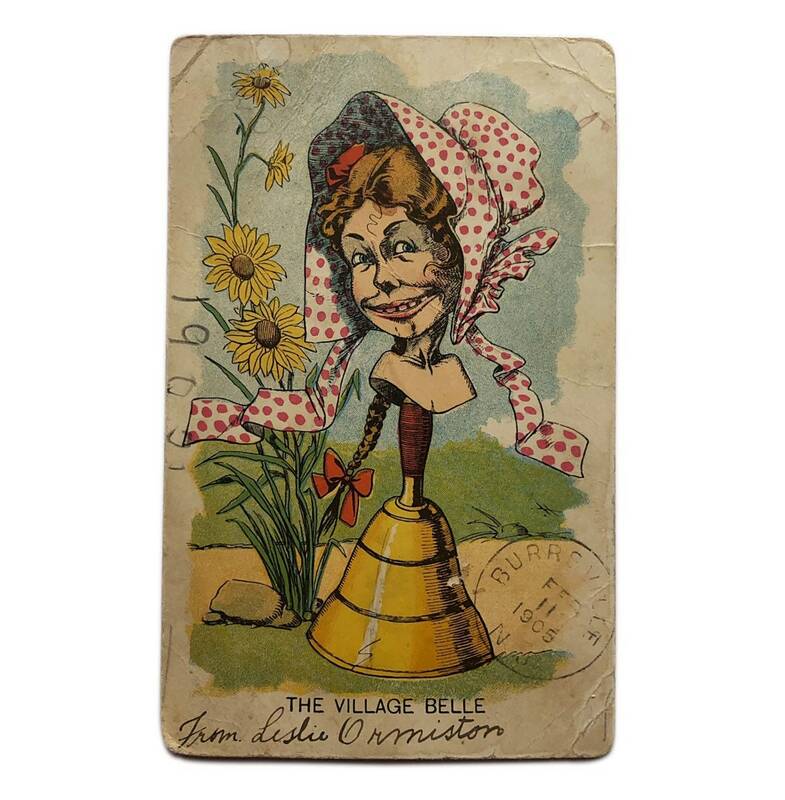 A typical Vinegar Valentine of the Edwardian era, poking fun at a friend for being the queen of the town. 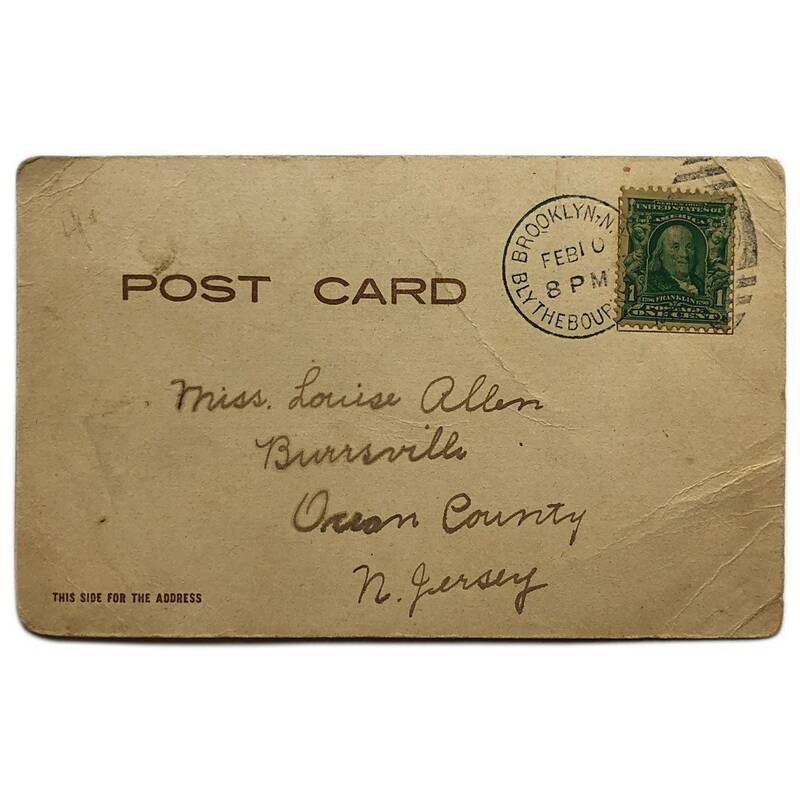 Sent to a Miss Louise Allen of Burrsville, NJ for Valentine’s Day. 💃🏼 Measures approx. 5.5” W x 3.4” H. Good condition w/ small corner tip bumps and scuffs, some creasing - see images for reference.